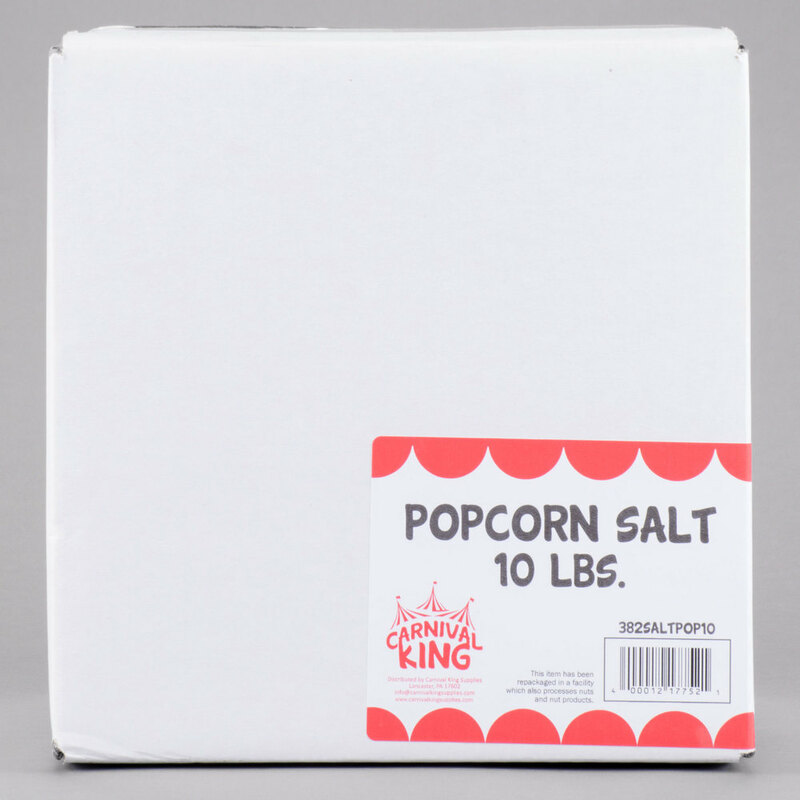 Create salty, movie theater-quality popcorn your customers crave with this Carnival King 10 lb. popcorn salt! Carnival King provides great quality products at a great value, and this popcorn salt is perfect for use in your theater, carnival cart, cafe, or concession stand. The fine consistency of this white popcorn salt clings to kernels better than regular table salt, ensuring uniform taste. Plus, this seasoning isn't just for popcorn, as it can be used to coat nuts and other snacks. You can even use it in sauces, seasoning mixes, and batters, and it blends quickly and easily into your recipes. Popcorn helps maximize profits and boost impulse sales. This 10 lb. supply of popcorn salt ensures that you'll be able to keep up with the demand and season enough popcorn for your busiest hours.